Ever watch Chrisley Knows Best and wish you could be a member of their crazy family? 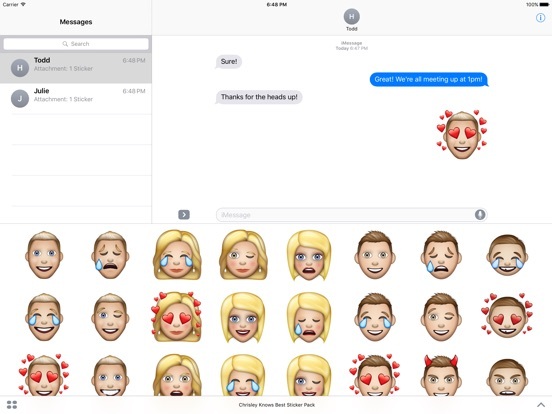 Now you can channel your inner Todd, Julie, Faye, Lindsie, Savannah, Chase, and Grayson with these special-edition Chrisleymojis! Did we also mention the Chrisley Knows Best Sticker Pack comes loaded with Todd-isms by the Patriarch of Perfection himself? Oh, HALE yes! 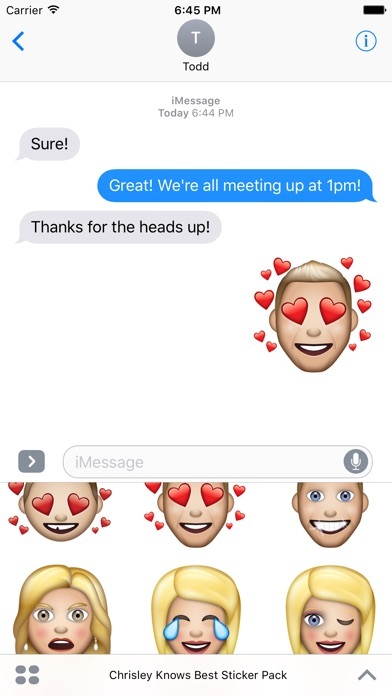 Chrisley-ify your texts with stickers and emojis — and remember: there ain’t no party like a Chrisley party! Unique emojis, including characters, costumes, food, props, and places! Not to mention, quote stickers that feature the best one-liners from the cast!